And we're back with our favorite (?) 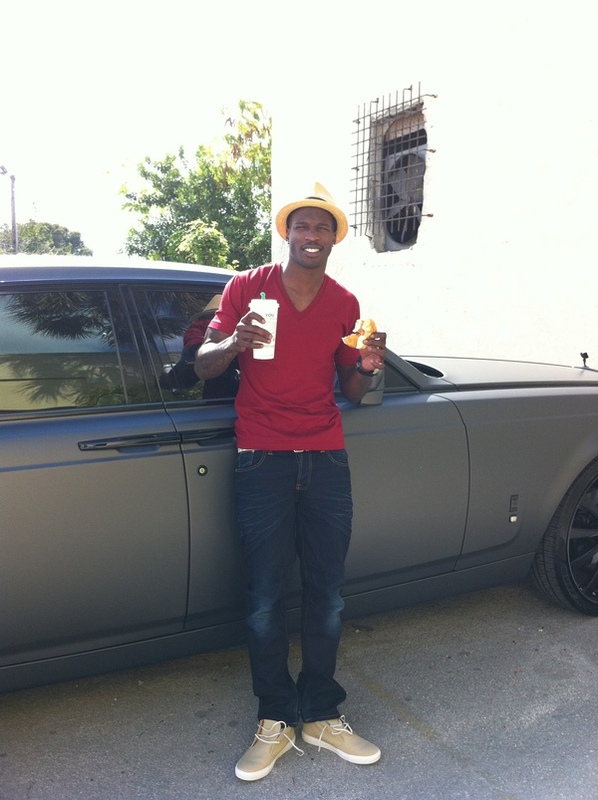 Twitter-er, Chad Ochocinco. 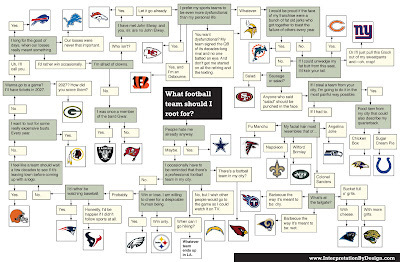 Formerly with the Bengals and now with our golden boy Tom Brady on the Patriots, this guy is seriously a piece of work! I'm sure he's a very nice man, but honestly, do we really need to know (and see) what you are eating for breakfast (Starbucks and two Krispy Kreme doughnuts, see pic) or getting updates from you every hour? No. And tie your shoes, dude. Apparently he's also hatching a bizarre contest on Twitter to MOVE IN with a Patriots fan (said fan must live within a reasonable commute of Gillette Stadium, have indoor plumbing, oh yeah and he'd like you to own an XBox as well) for the first two or three weeks of the season. Ooooooooooook, Mr. Ocho. Here's how he plans to do it: In yet another bizarre contest on Twitter, he plans to fly lucky winners out to New England where he will work out a system of hand signals with the fan who will be sitting in the stands. The fan will then interpret these signals and update Chad's Twitter account accordingly...during the game. Ummmmm, does this seem weird to anyone else? My thoughts are that this will last for about three minutes of the first game until some new rule goes into effect to stop this from happening. Please. At least the guy is entertaining!! A couple of things: there is a massive scandal going on at the University of Miami. Basically a sports "booster" named Nevin Shapiro (who is currently serving a 20 year sentence for operating a multi-multi million dollar ponzi scheme) provided "impermissable benefits to at least 72 Miami Hurricane football players from 2002-2010." The violations include, "cash, prostitutes, entertainment in his multimillion dollar homes and yacht, paid trips to high-end restaurants and nightclubs, jewelry (including an engagement ring), bounties for on-field play (including bounties for injuring opposing players), travel, and, on one occasion, an abortion." YIKES. You have got to read this article. And this one. It reads like the juiciest of US Weekly trashy trash. This guy names names and names what he gave them (ie, prostitutes, etc). For example: Devin Hester, Wide receiver, Chicago Bears: Multiple cash gifts, including cash for rims for Hester's SUV, $3,000 for an engagement ring, playoff tickets, drinks and VIP access at nightclubs, lodging at Shapiro's $2.7 million Miami Beach home....." The list goes on and on and on. Why did he do this you ask? Well, it soon becomes clear in the articles that he thought these guys were his friends. Yet, when he got hauled off to prison for the ponzi scheme, they all but disappeared off the face of the earth. No one helped him, no one sent money. Sounds like no one even called him back. Go figure. I guess that's a nasty side effect of trying to buy your friends. In any case, now eight years into the sentence, he is growing more and more bitter. Why not hurt the people who hurt him? Mission accomplished! Seriously, read more about this if you have the time. One of the most entertaining yet disturbing things I've read in a long time. 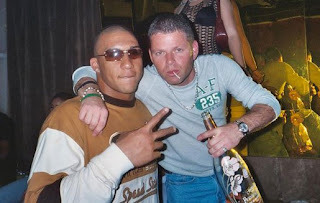 These Miami players are all over the NFL now and the scandal has seriously tarnished the U of Miami athletics program. I'll catch you up on what's happening so far in the pre-season tomorrow. Until next time! Ok, my peeps. I'm sitting in my office trying to "quietly type" while my daughter watches Finding Nemo in the next room. I just wanted to let you all know that, NO, I haven't fallen off the face of the earth. School starts tomorrow! I haven't even had a second to wash the dishes let alone dish about football. There are many juicy stories and headlines for us to catch up on and I promise to get you all caught up. 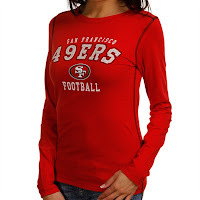 Speaking of cute NFL clothes for girls, I found this site the other day...LadyFanatics. They have really cute stuff! People are finally catching on that we like to look hot...even at sporting events! It seems that everyone's favorite bad boy of football has decided to throw in the towel. Moss, one of the NFL's greatest all-time receivers, will not be back this year and has decided to retire after 13 seasons. He had a rough year last year--he bounced around to three teams (Patriots, Vikings and Titans) and generally caused a ruckus wherever he went.